When it comes to reading books to my babies I’ve been seriously slacking in recent months. It’s really hard to keep reading bedtimes stories when you’re physically juggling one of them, when they have different bedtimes and, frankly, when you’re so tired you’re just desperate for them to go to sleep. It saddens me that I rarely read B a book before bed, and that when I do read to G it’s often just one book and one we’ve read so many times before. We need a refresh and a decent burst of inspiration, and I’m willing to bet we’re not the only ones! Here are few (bloody good!) 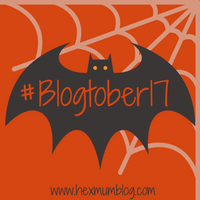 blog posts full of new book ideas and ways to get you (and the kids) excited to read together again. We’ve hit a bit of a stalemate when it comes to what books we’re reading. This list of feminist books to read to your toddler, from Hi Baby, is perfect. All of these titles are going on the boys’ Christmas lists. This absolutely darling idea of creating a seasonal shelf is a great idea for a daily visual prompt that doesn’t rely on bedtimes for stories. Just choose from the shelf through the day and tie in with craft activities or seasonal walks. Hello Beautiful Bear has the best ideas! In my experience kids love all things poop related! We have one book from this series (the world book day special) but haven’t got round to reading the rest. I know G would find all of these Dinosaur Who Pooped books hilarious. I think it’s safe to say Kerry Louise Norris and Eva did too! G has recently started at a Welsh medium school, so Cardiff Mummy Says sharing this list of 20 Welsh language books is really useful for both of us. I need all the practise I can get! I never read bedtime stories to my children. Life was too busy to do that, like you I just wanted them to sleep! They also wanted the same book over and over again (my husband could still recite Postman Pats Windy Day and my son is now a father himself) For my daughter he taped himself reading the books (on a Walkman in those days) With instructions to turn the page at the appropriate time. It was great for car journeys and she would listen to them over and over before bed. How’s that for bad parenting?